Most hormone imbalances are age-related conditions; they predominantly develop during middle and later. Growth hormone deficiency, once thought to mainly occur in children, is increasingly being detected in adults, which is why hormone therapy doctors find that they are often being asked, “Is HGH therapy safe to use?” by members of an aging US baby boomer generation. The generation that benefitted in so many unprecedented ways due to the efforts of previous generations now finds its members in late middle age. As many of them prepare to or already have retired, they still plan to stay active and fully involved in their lives, ready to embrace new adventures. Only one thing can stop them now, and it’s the most important factor in upholding one’s lifestyle quality: good health. Growth hormone deficiency, meaning that your body’s levels are below average and you have been experiencing symptoms, is typically a progressive disorder. Your steady loss of growth hormone production can begin anytime after the age of 30; you might not start to experience symptoms until a decade or two after that, when the hormone imbalance has become more pronounced. Those symptoms can definitely dull the luster of your so-called golden years, because they include chronically low energy and fatigue; loss of muscle tone and bone density; reduced cognitive function; abdominal weight gain; lowered immunity; slower recovery from illness and injury; and emotional changes, including the loss of sexual desire. Growth hormone deficiency also contributes to increasing the risk for stroke, heart disease, and other debilitating health issues. Baby boomers are smart and know how to stay on top of the issues that affect them; many of them have heard about adult-onset growth hormone deficiency and, because they value their health, they ask a very smart question: Is HGH therapy safe for me to use? According to the medical researchers who studied it and doctors who currently prescribe it, the answer is yes – as long you have a clinically verified level of deficiency and use it exactly as prescribed by your doctor. Does HGH Therapy Have Any Side Effect Risks for Adults? All medications, even the ones you purchase over-the-counter and use for common maladies, have possible side effect risks associated with their use, especially if they are used on a more than occasional basis. However, when doctors who specialize in treating growth hormone and other adult-onset endocrine deficiencies answer the question of is HGH therapy safe to use, they have decades of clinical trials and their own experience in prescribing it to refer to. Because they routinely test and evaluate adults with symptoms of growth hormone loss, as well as carefully monitor their progress throughout their treatment cycles, they have a closer look at the before and after of HGH therapy. They witness their adult patients’ transformations from tired and unhealthy to vibrant and glowing with renewed vitality – the result of using a correctly prescribed and administered human growth hormone injections program. The know from treating many patients over the years, that the incidence of experiencing side effects, which can include temporary swelling, joint pain, and in rare instances carpel tunnel syndrome, is statistically very low. If side effects should occur, hormone therapy doctors know that they can usually be managed very effectively by reducing the patient’s treatment dosage or by temporarily suspending treatment. There are many good reasons to receive HGH therapy from an experienced and knowledgeable medical specialist, and this is one of them. Others include their greater familiarity with hormone deficiency symptoms as well as their knowledge of the latest treatment options. The long-term effects are also on the minds of adult who want to know is HGH therapy safe to use and researchers will continue to follow patients in the coming decades to learn as much about its extended use as they can. Thus far, after more than two decades of medical use for the treatment of adult-onset growth hormone deficiency symptoms, no long-term safety issues have been observed or reported by medical researchers. What Is Required In Order To Get Your HGH Therapy Prescription? So what are boomers doing about receiving treatment for their growth hormone deficiency symptoms? Are they asking their primary care providers for help? If that is what they are doing, then there is a very good chance that they aren’t getting very far. 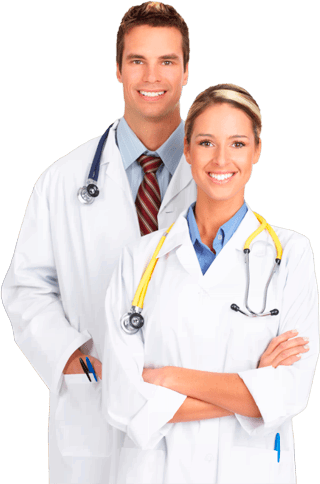 Most general practitioners have little to experience or training in diagnosing and treating growth hormone deficiency and are even hesitant about answering many of the questions their patients have about this disorder, including when they are asked is HGH therapy safe for me to receive? The first thing to do is to contact us directly by either phone or email, to request a locally performed blood test used for detecting growth hormone deficiency. If you have questions you want to discuss, call us and speak to one of our clinical advisors, who will be happy to make sure that all of your questions are answered. Next, you will also need to have a medical examination and we have local doctors in your area that can perform this for you. We will need to review you medical history, which you can submit to us simply by filling out the form we’ve conveniently included for you on our website. This is critical in determining is HGH therapy safe for you to use. Once our hormone therapy doctors have evaluated and diagnosed your level of growth hormone deficiency, the correct program of therapy can be prescribed for you. You will receive instructions on how to follow it, including how to easily self-administer your daily injections; and you will be able to order your prescribed medications from our online- pharmacy for prompt delivery directly to you. That’s how getting a prescription for HGH replacement therapy at Nexel Medical is now being done by many baby boomers who want to preserve and extend their vitality for many years to come. Administered correctly, human growth hormone is a safe and effective to restore you growth hormone levels to health, which in turn will support your overall health for as long as you continue to use it.